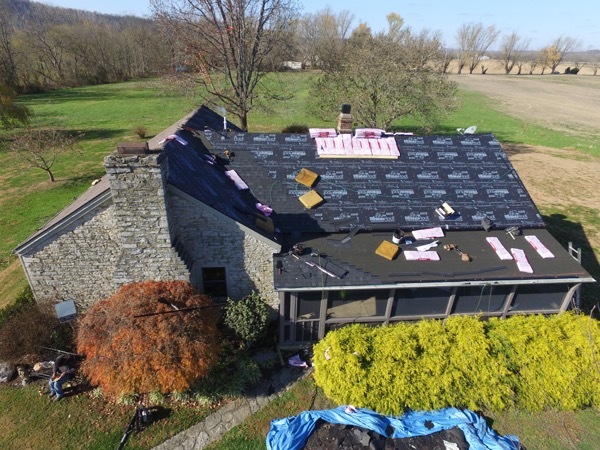 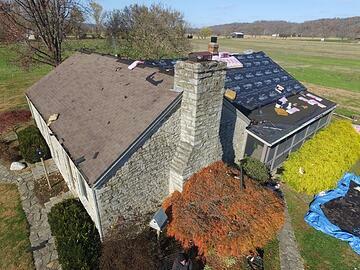 Our hard working crew took just 2 1/2 days to complete this full tear off and shingle roof replacement project in Vevay, Indiana. 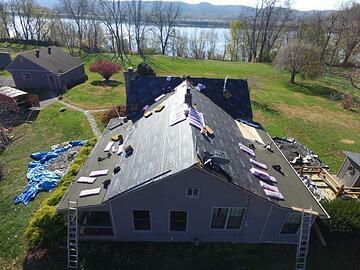 The new shingles were three dimensional, 50 year life from Owens Corning. 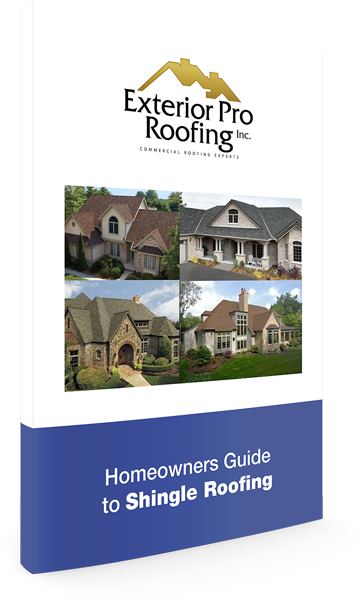 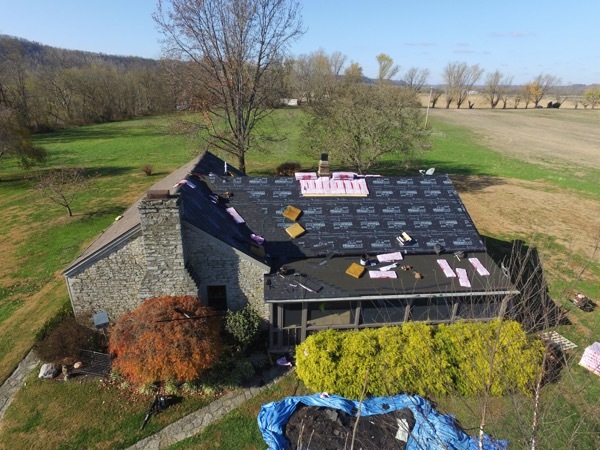 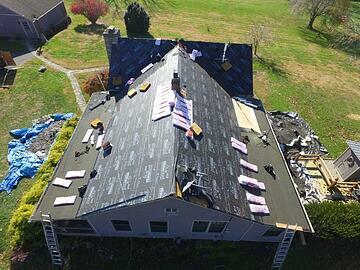 Exterior Pro Roofing is an Owens Corning preferred contractor serving Southern Indiana.